A Disney vacation simply isn't complete without a face-to-face meeting with the Mouse himself. 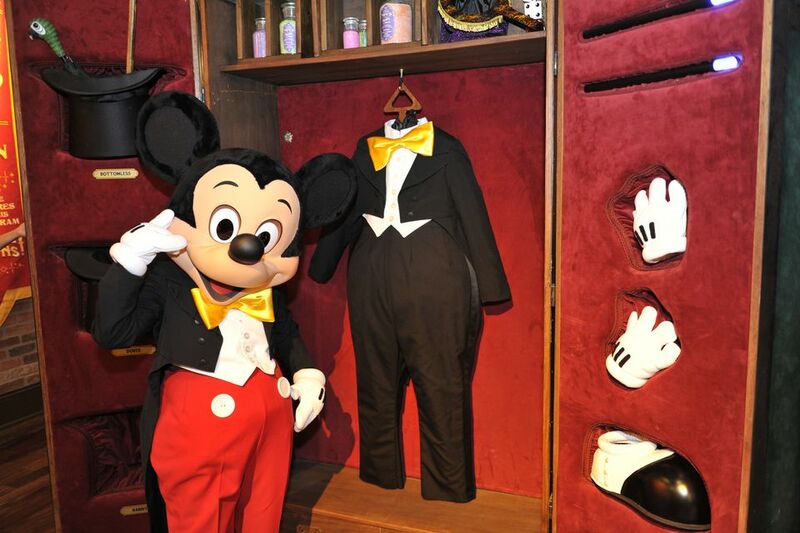 Each Disney World theme park offers you the opportunity to meet not only Mickey but other favorite characters as well. Look for princesses as you wander through World Showcase (Epcot), meet Captain Jack Sparrow in Adventureland (Magic Kingdom), or visit with Handy Manny and the Little Einsteins outside Playhouse Disney (Disney's Hollywood Studios). Disney makes it easy to spot your favorite characters. Each Disney theme park offers a printed schedule of character greeting times (look for these at the front entrance, at Guest Relations and at the tip board for each Disney theme park). Some characters are easier to find than others. Mickey and Minnie make appearances in each park every day, but other characters may only come out sporadically. If you are interested in a specific Disney character, look for them at related locations — you can find Alice and the Mad Hatter by the Mad Tea Party ride (Magic Kingdom); Jasmine and Aladdin can be seen at the Morocco Pavilion (Epcot). Some characters now have their own meeting places that are inside and comfortably air-conditioned. See Mickey Mouse at Town Square Theater on Main Street, U.S.A., and the most popular princesses at Princess Fairytale Hall in Fantasyland, both located within Disney's Magic Kingdom theme park. Tip: Disney Premier Visa holders have a special "members only" character greeting spots. Meet Disney characters at Innoventions in Epcot, complete with a photo session and complimentary 5 x 7 souvenir print. Simply stop by and present your Disney Visa to the cast member at the greeting. You will receive downloads of your photos. Cardholders also qualify for a special Star Wars Character Experience at the Star Wars Launch Bay in the Animation Courtyard daily. No matter what Disney character you meet, there are a few basic character greeting rules to keep in mind. The Disney character you meet will be accompanied by another cast member, who will help control the line or meeting area and make your visit go smoothly. Have your autograph book open to a blank page, and have a pen and camera handy for your meeting. When you meet a Disney character, you may get their autograph, chat with them for a second (though many characters don't speak, they express themselves very well) and snap a photo. A professional photographer might be on hand to snap your picture as well. If they do, they will furnish you with a free PhotoPass card, which will allow you to view and purchase photos online after your trip. If you are visiting with a small child, make sure the performer can see your child approach. Some of the performers have very limited vision due to the costume they are wearing, and if they can't see your child, they can't interact with him. Some Disney characters are very large, and due to their sheer size, can be intimidating to small children. If your child seems shy or wary, allow them to wave from a distance, especially at their first character greeting. Consider meeting some "face" characters like princesses or fairies first — performers who wear costumes but not masks may be more approachable. Most importantly, do not allow your child to hit or kick the characters or pull on the character's costumes.